What better way to make a fashion statement this year than to turn to Samurai hair. Yes, these babies are the way-to-go for every trendy male. Also known as Chonmage, Samurai hairstyles have been around for years. However, the years have done nothing to their swag. If you watched cartoons like Kenshi or Naruto, you should get the idea. If not, no worries; I’ll definitely tell you all there is to know about them. The first thing to know is that these hairstyles have a Japanese origin. They were created to keep the ancient warrior’s helmets in place during battles. Now, between the time of the ancient Japanese warriors and the present, Samurai hair has evolved. Let’s meet 45 of the trendiest Samurai hairstyles. Embrace them and become your own Samurai. Although its outlook is quite deconstructed, this a great Samurai style you should try. For this style, the ponytail folds in on itself and it is held together in an upward position using a leather wrap. This leather thong is placed on the upward ponytail and wrapped over its length. 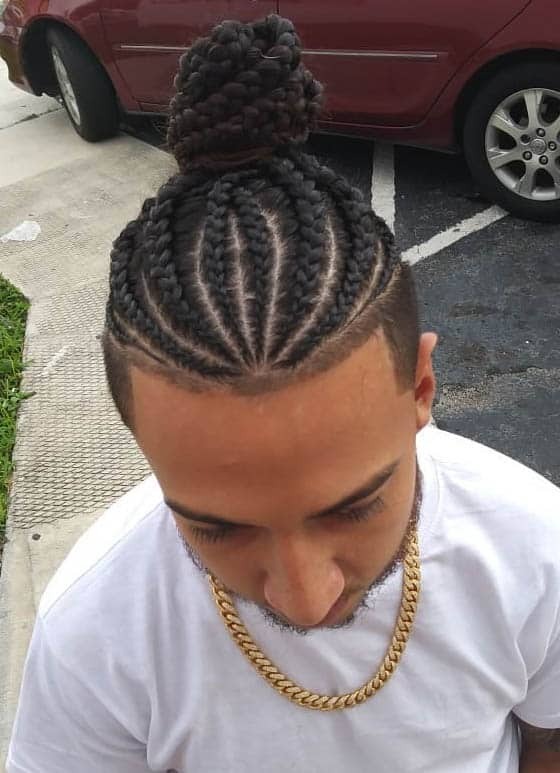 This hairstyle is worn high on the crown of the head; leaving out some hair before the fade. This adds some texture to the cut. With this style, you can wear your hair in different ways when you remove the knot. It sure never goes out of style. This is exactly like its name. 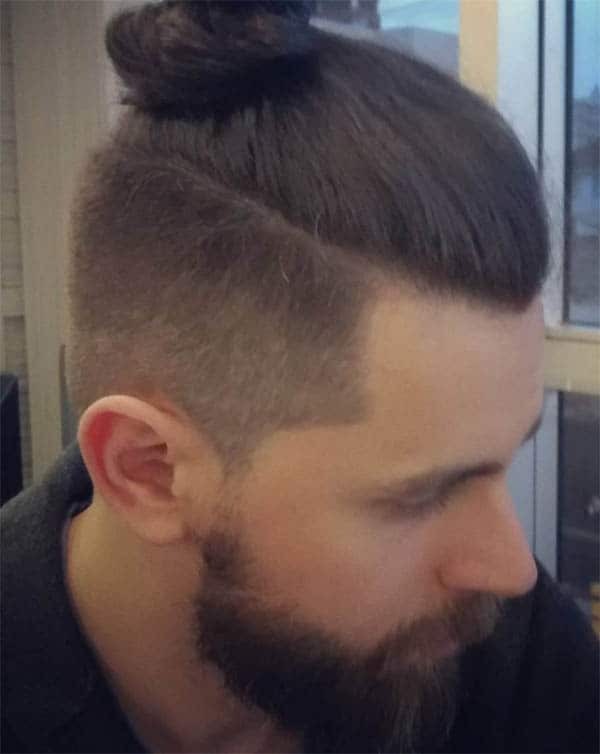 There is a clean shave all the way to the traditional Samurai bun. Also, this style comes with no texture at all. It is a lot like the ancient Samurai hairstyle. Pairing it with a beard will make it look just great. If you do not fancy complex hairstyles, this cut is the perfect option for you. It is loose, lax and laid back in nature. 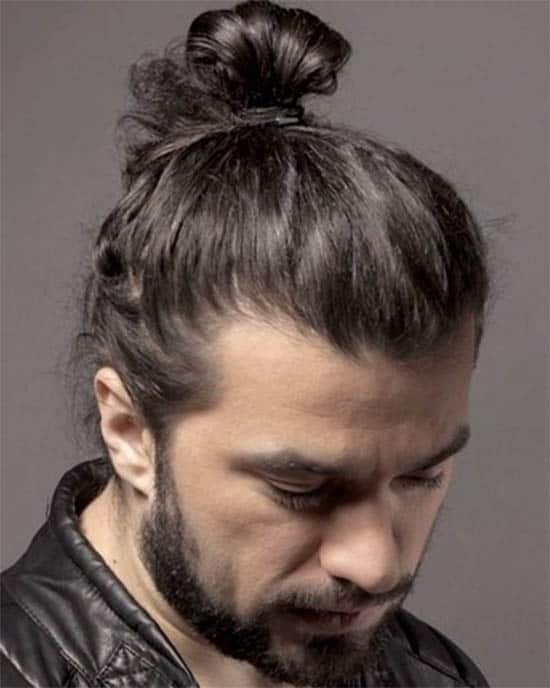 Two ends of the hair come together to form a softer version of the Samurai bun. Talk about staying trendy in your space. This style comes with a simple and tiny knot which is made right on the crown of the head. This hairstyle looks like ‘Neat and Tidy‘ in some way although it doesn’t require a clean shave of the other parts of the hair. It is definitely worth rocking. Also called the topknot style, it entails tying your top hair to form a knot right at the vertex of your head. 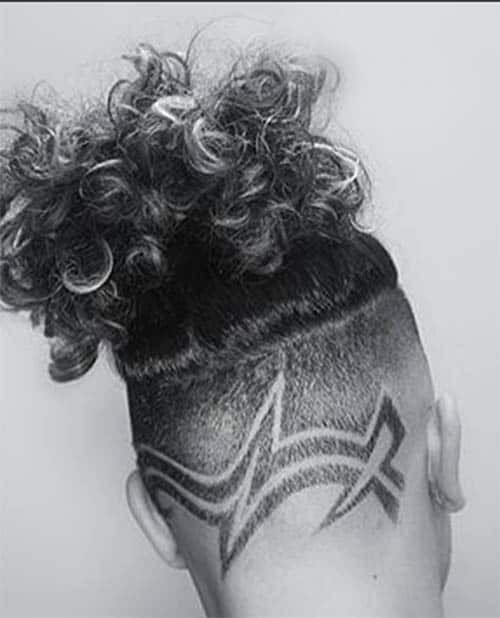 You can get creative with this and have the undercut Samurai style to achieve a unique appearance. Stay trendy even with your curls. This style is classy; in every sense of the word. To pull it off, however, your hair needs to be quite long. Once you have the desired length, you can work it to create this exceptional look. 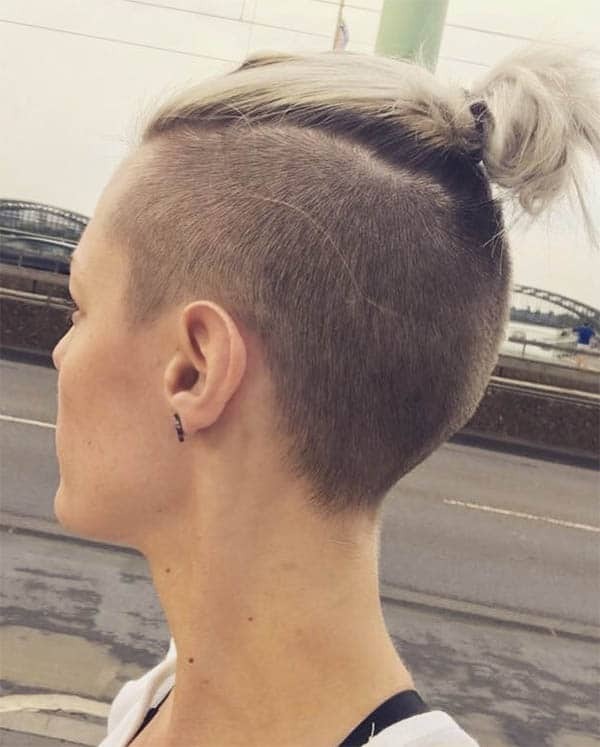 Bun and ponytail unite perfectly in the Pony Bun Samurai haircut. First, the hair is tied in ponytail style then the bun of the hair pulls up all the hair; including the ponytail. It is definitely something worth trying. This is another trendy style you should try out this year. 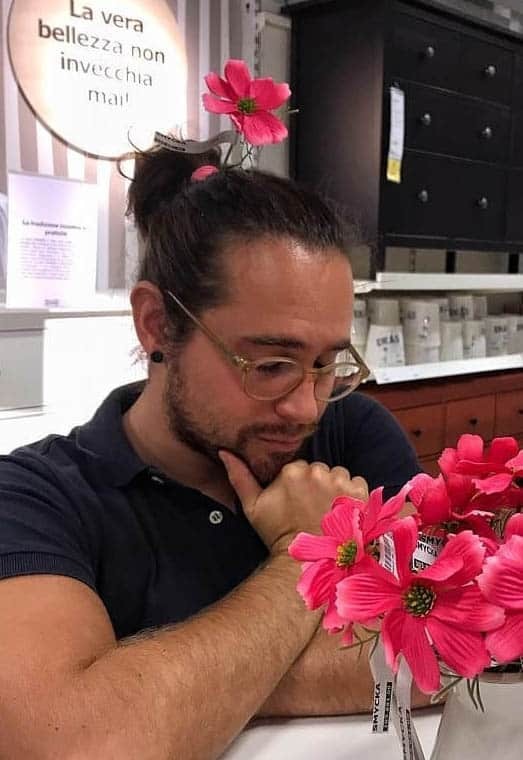 It is quite similar to the other man bun we talked about earlier. For this one, however, the Samurai bun is tied a lot higher than the vertex of the head. In fact, it goes all the way and is styled at the top centre of the head. Adding a full beard will complete this look. 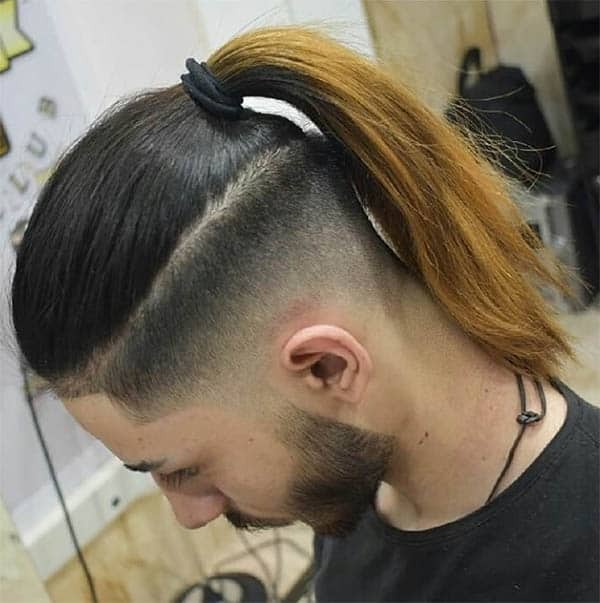 Try out this stylish Samurai hairstyle. I’ll call it the hip-hop Samurai style. In many ways, it looks like the high man bun which is placed far above the vertex. For this, however, the rest of the head has a fade with lighter hair. Talk about style! 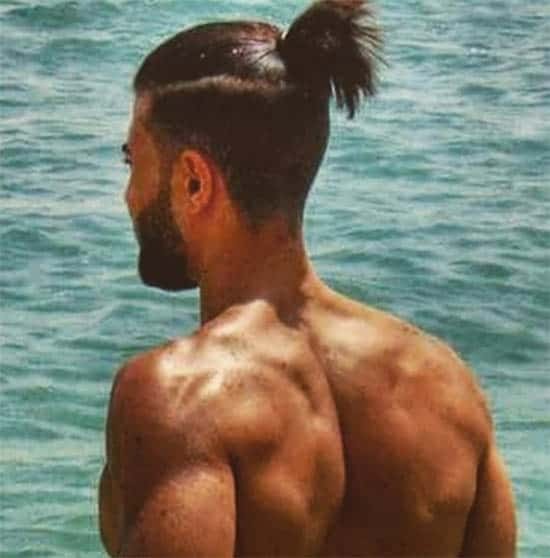 To achieve this style, the back and sides of the hair are shortened. 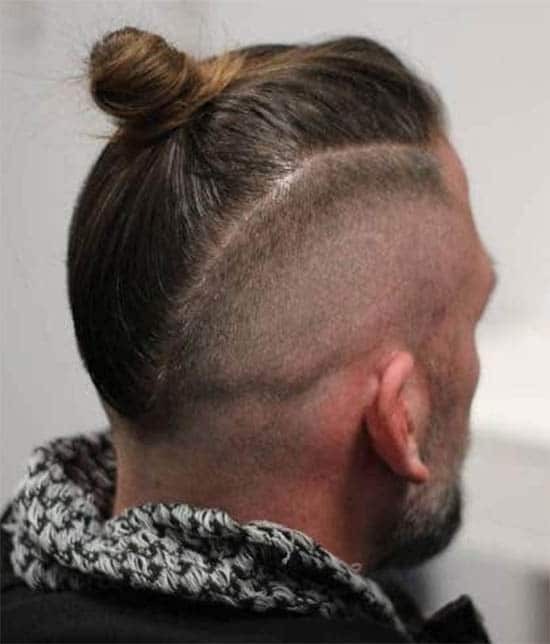 After this, the hair is creatively tapered with a hair clipper so that it forms the Samurai bun. This is very classy too. This is exactly as the name suggests. It is also very easy to achieve. 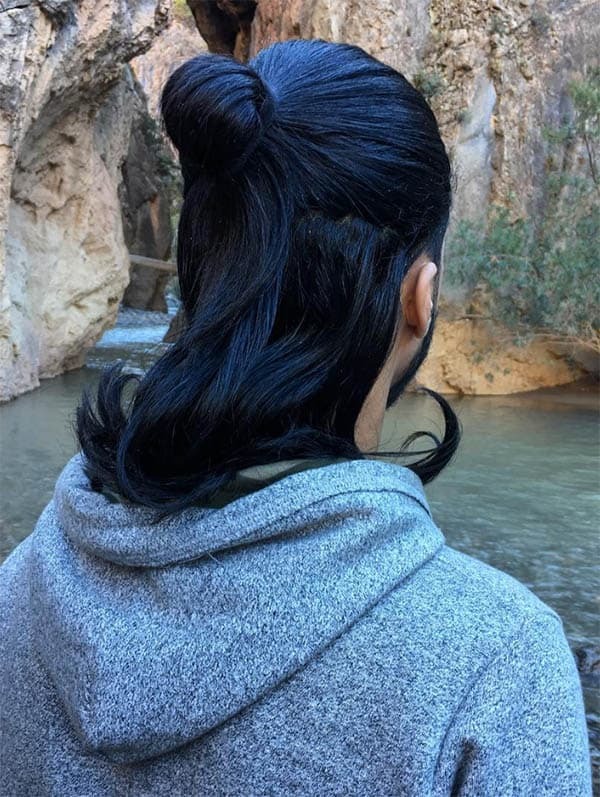 For this style, the hair at the top is simply tied so that it forms a single bun. However, you have to have a lot of hair in order to successfully achieve this style. 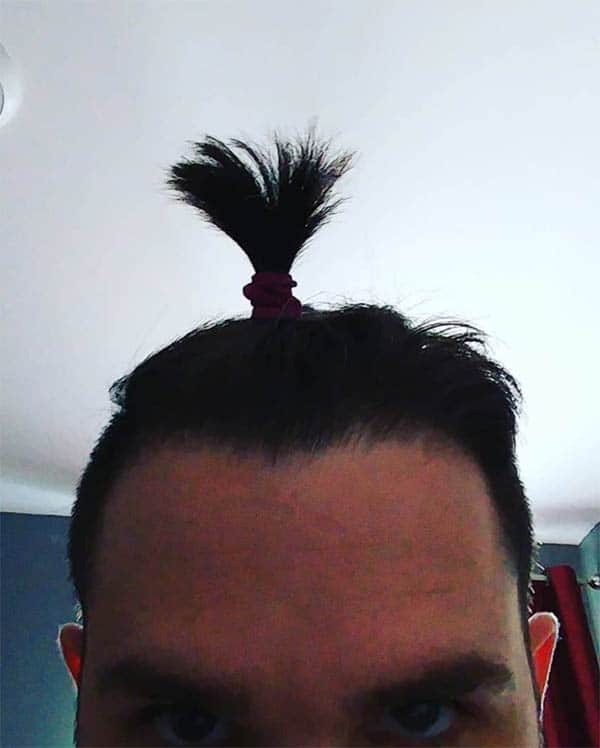 This is one of the simplest Samurai hairstyles. To achieve this look, trim off all the hair around the sides and back of the hair. Now, grow the hair on the top so that it rolls like a bun after you’ve tied a knot on it. Achieve a youthful look with the Harry Styles Bun hair. The hair at the crown of the head is styled to form a ponytail just around the vertex or at the centre of the head. This ultimately forms the Samurai bun or knot. Curly hair is not a problem in the Samurai hair world. 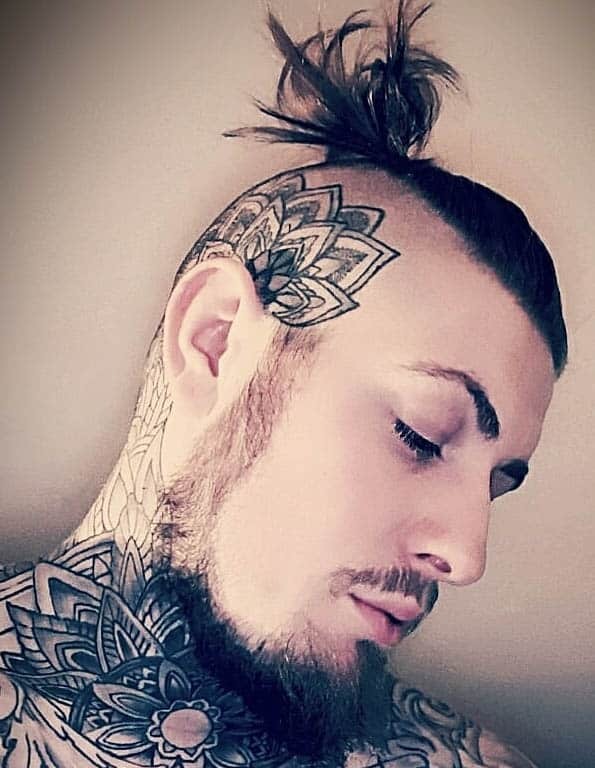 I recommend the slightly curly man bun for young men who wish to make a fashion statement with their appearance. To achieve this style, simply curl your entire hair then wrap the hair to form a bun. This is sure to make you stand out. This style is perfect for black men who desire to have a bold and outstanding appearance. It is also very easy to style; especially since their hairs are already very curly. 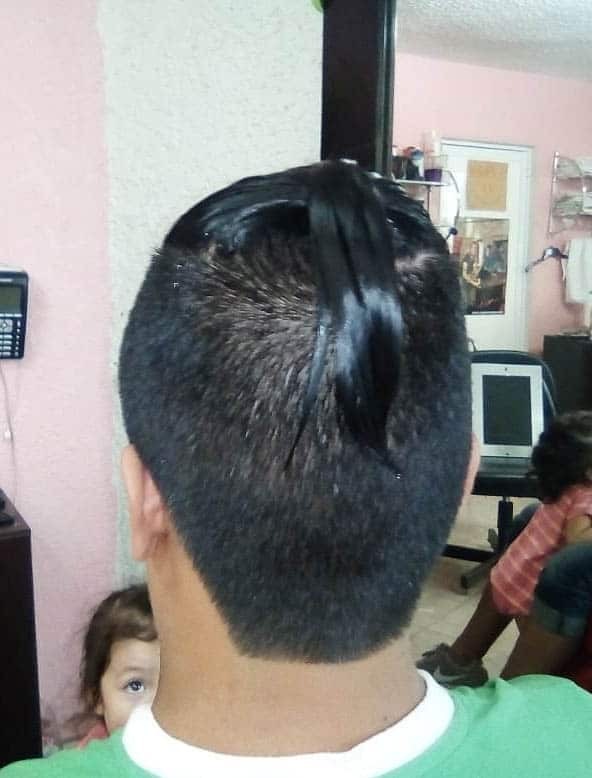 All you have to do is fold your hair into a ball to form the Samurai knot. You will never go out of style with this. 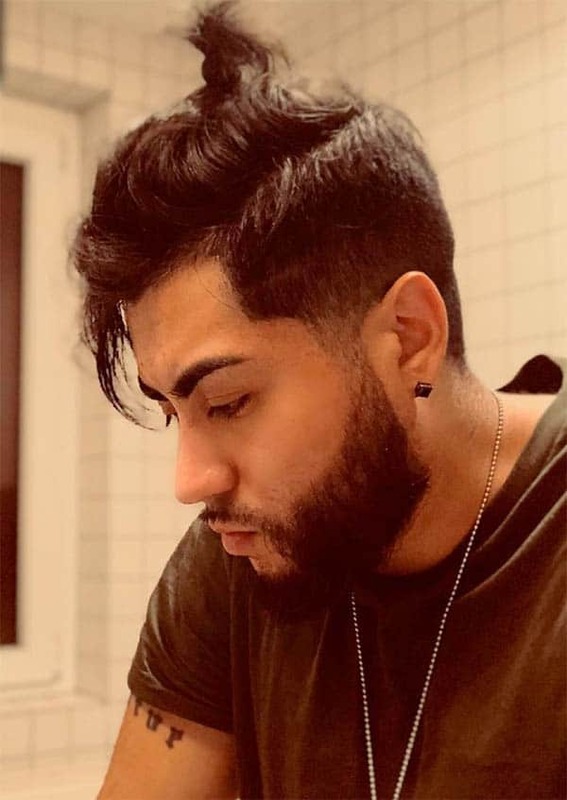 Introduced by former One Direction member, Zayn Malik, this a very cute Samurai hairstyle with a great undercut that is sure to make you look classy. 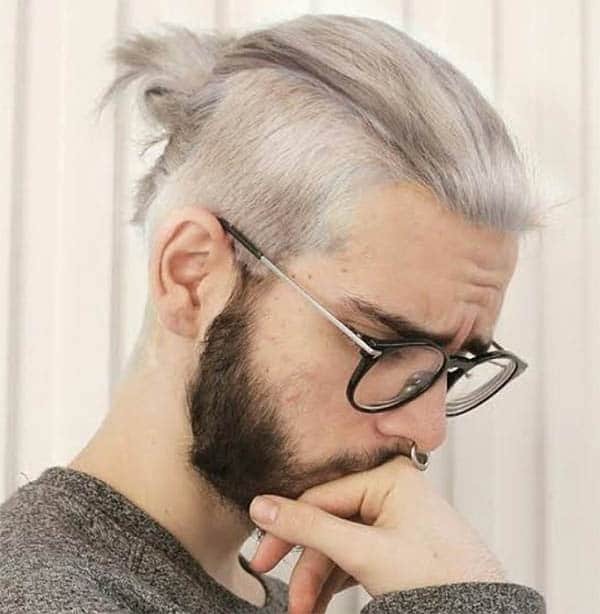 To achieve this, simply sweep your hair to one side while sporting a Samurai bun on the same side. Your long and wavy hair can go Samurai too. To properly style this, you will need to allow your hair to grow very long. Simply form the Samurai bun right above the vertex to achieve this style. Pairing this with full beards will make things a whole lot better. 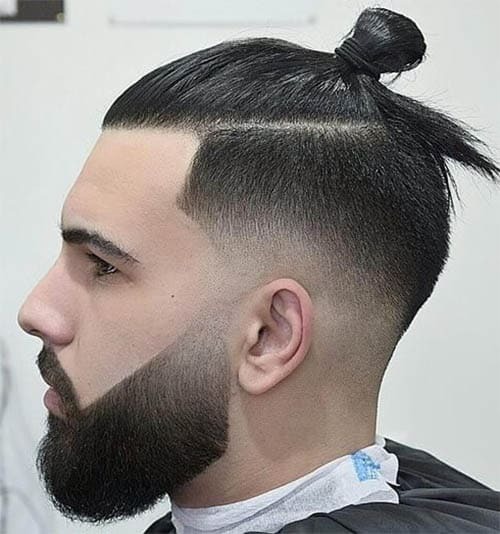 This style is also referred to as the blade cut Samurai hair. To style this, you will need to keep the top of your hair long while leaving the hair with undercut sides. 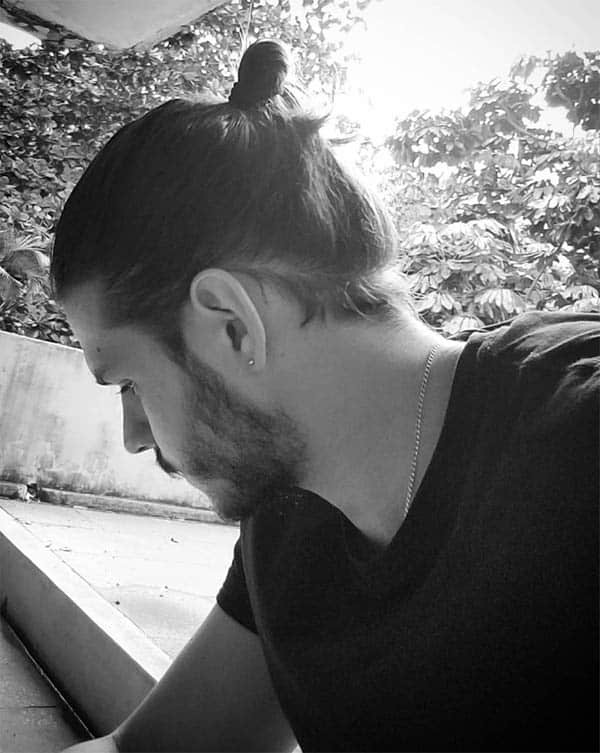 The long hair at the top is simply rolled in and tied to form a Samurai bun. Here is one for the rock stars. This beautiful fusion of Samurai hair and French plait is definitely one of my favourites. Simply make a neat French plait at the centre of your hair then roll the bun in at the end of the plait. You can shave off the sides of your hair, neatly. Add side plaits to your Samurai style to make you appear unique. This is also one for rock stars or persons who simply want to be funky. To achieve this, make the side plait neatly on your hair then style the Samurai bun just at the vertex of your head. 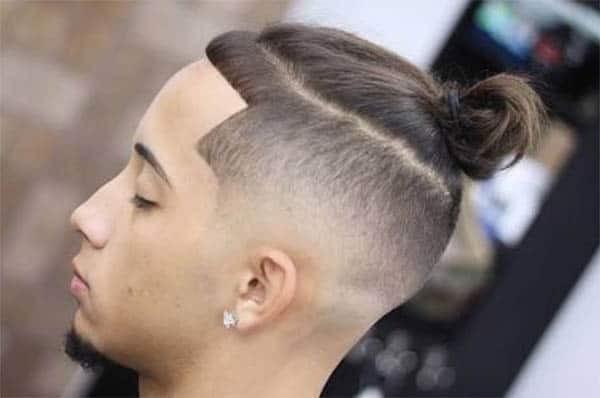 This Samurai hairstyle is very different from what we usually see around. To rock this, simply divide your hair into two equal parts right from its centre. Next, tie a knot on both sides of the hair, just above your ears. 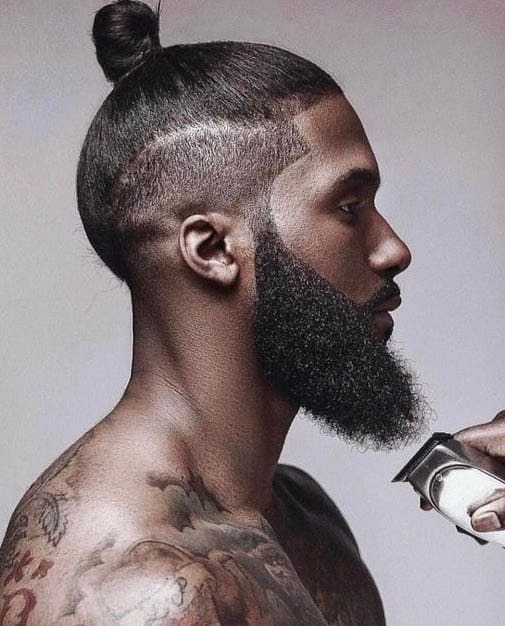 Your man bun also works well with tattoos and beards. Why not try it out? This combination is sure to make you a favourite among the ladies. You can create this combo with any of the styles we have talked about earlier. 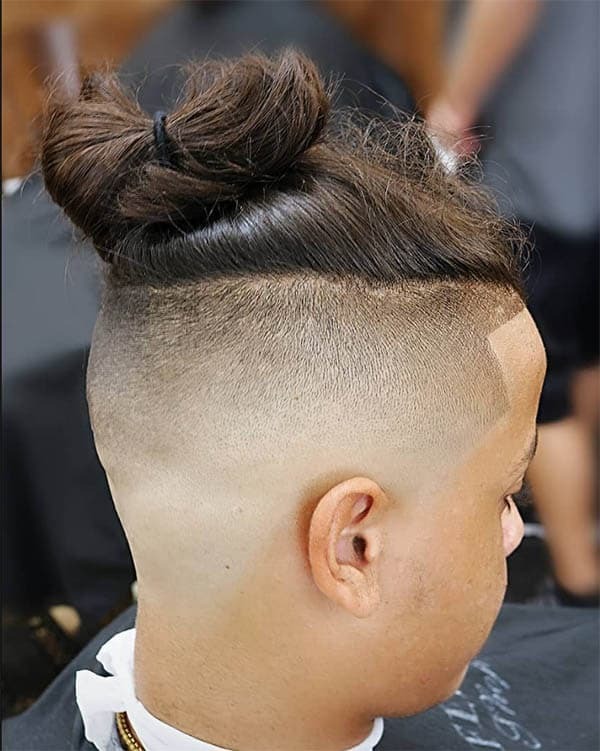 Create the perfect fashion hybrid by rocking this super combo of man bun and low fade. The short sides of your hair will emphasize the medium length and longer hair at the top of your head where the bun forms. This combo is one of the best ways for you to style your long hair. 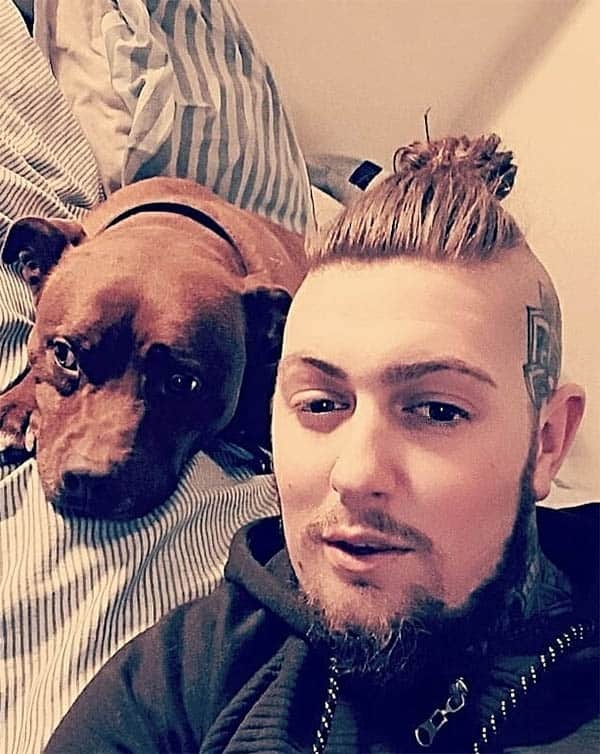 This style has been around for some time and it doesn’t seem like its going away anytime soon, Man burn undercut is very similar to the slick back undercut. Enjoy a sleek look by recreating this style. 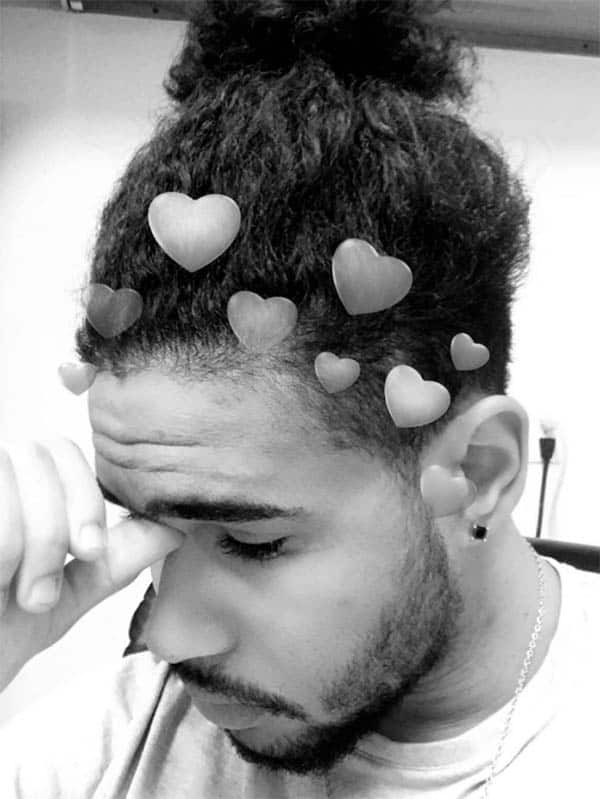 Shaved sides and man bun? Why not! These two go together and will definitely look cool on you. You can add some beards to this equation to complete the look. 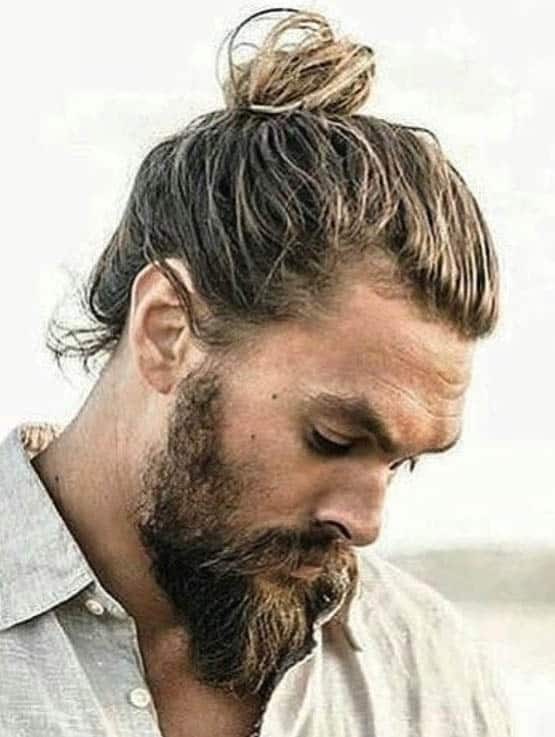 Stay classy by matching your messy man bun with full beards. You don’t have to be prim and proper every time you have to step out. You can still achieve your desired appearance with some roughness here and there. This look will sure leave the ladies stunned. 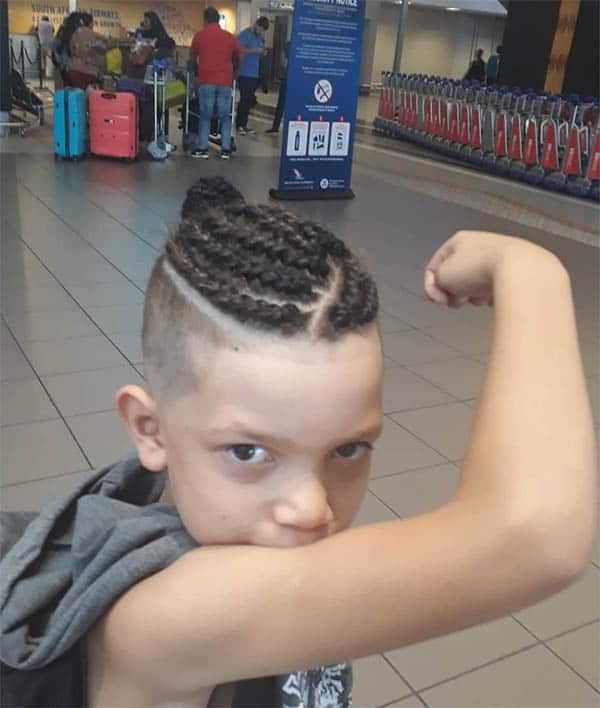 This haircut is simply for the brave. However, it comes with a rugged undertone that definitely makes a statement. 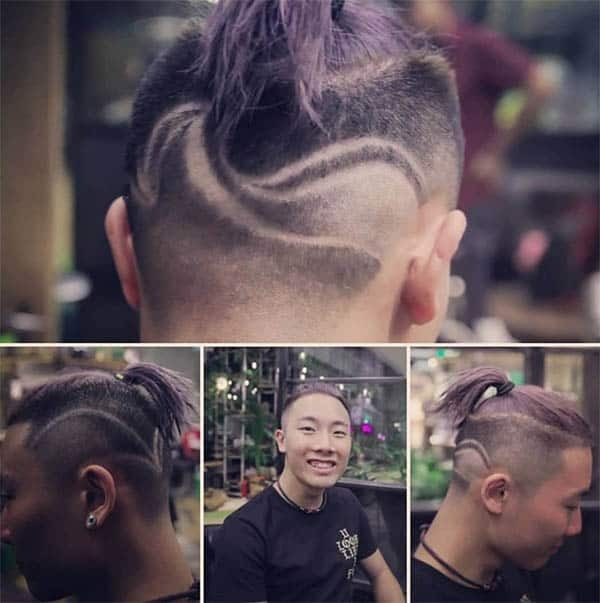 This rebellious Samurai hairstyle with definitely make you be unique in any crowd. Ladies can get on this trend too. 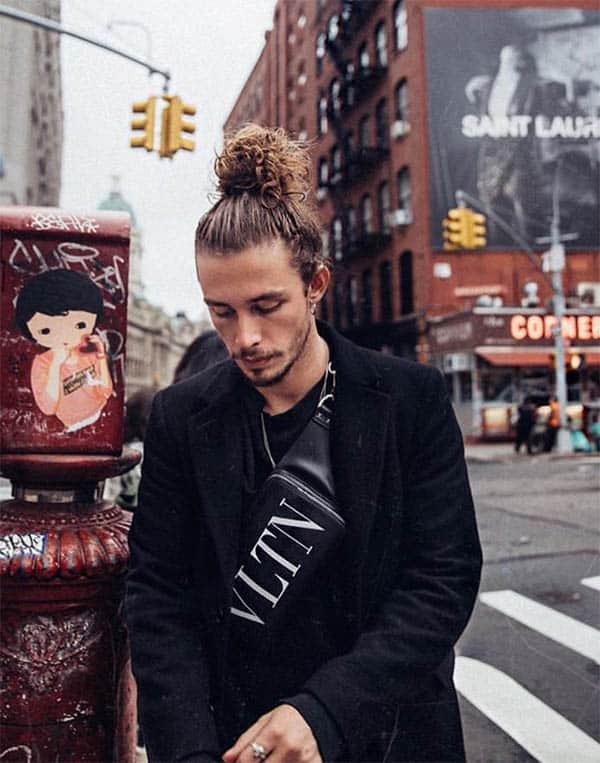 Braided man buns are definitely one of the classiest ways to style your hair this year. Simply roll your braids into one big Samurai bun and rock the look! To make it more colourful, use braids of different colours. Here is another one you can try this year. 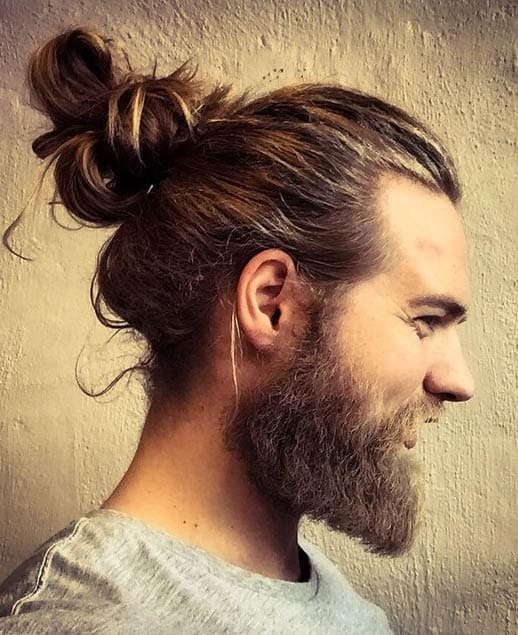 Hipster Man Bun combines well with full beards to give you a rugged yet attractive appearance. With a few strands of hair here and there, you are sure to give off a carefree yet definite appearance. Fade shows up yet again on our list. This time, it is low taper fade. 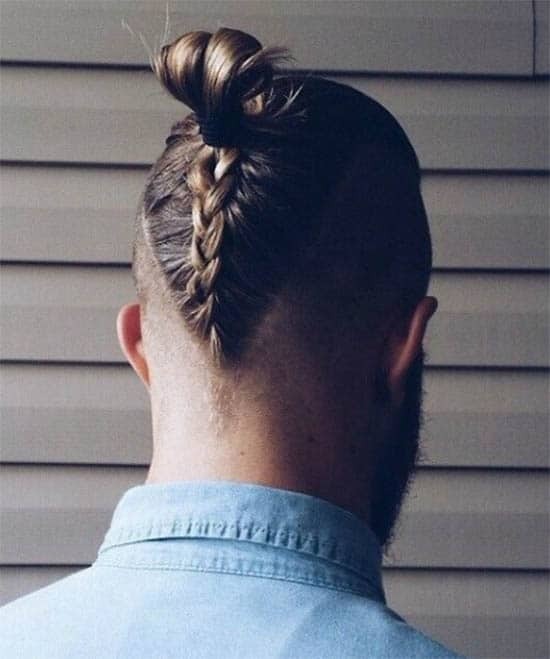 This works very well with your man bun to give you a trendy and attractive appearance. Add a full beard to it and you are good to go. 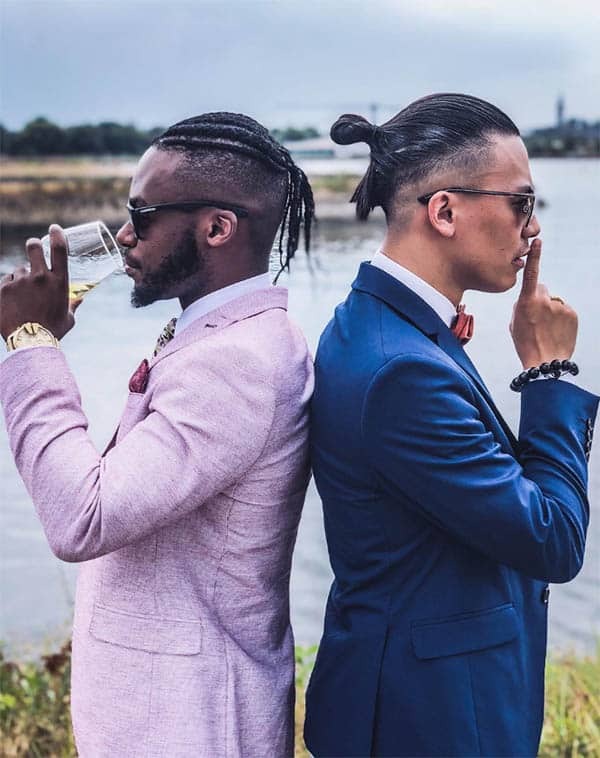 You can go the extra mile with your Samurai hairstyle by pairing your favourite design with your man bun. Now, this requires a little sense of adventure but who says you cannot pull it off? Here is another Samurai style you may want to explore. Although it is quite complex, its outcome is so beautiful that it makes up for all its complexity. You should not miss out on this style in the coming days. I call this the unisex style because it is something that can be rocked by both our male and female folks. Cut your hair in two, horizontally. 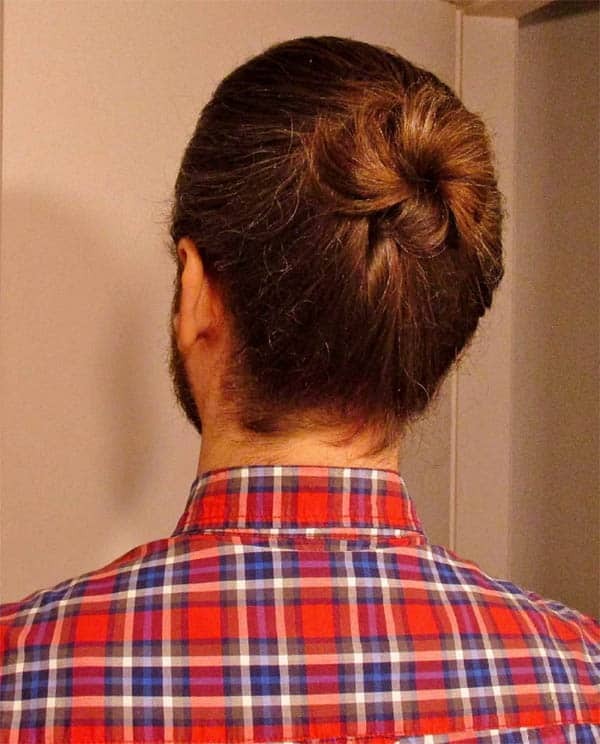 Grab the upper half and roll it in to form a Samurai bun. It is both easy and trendy. 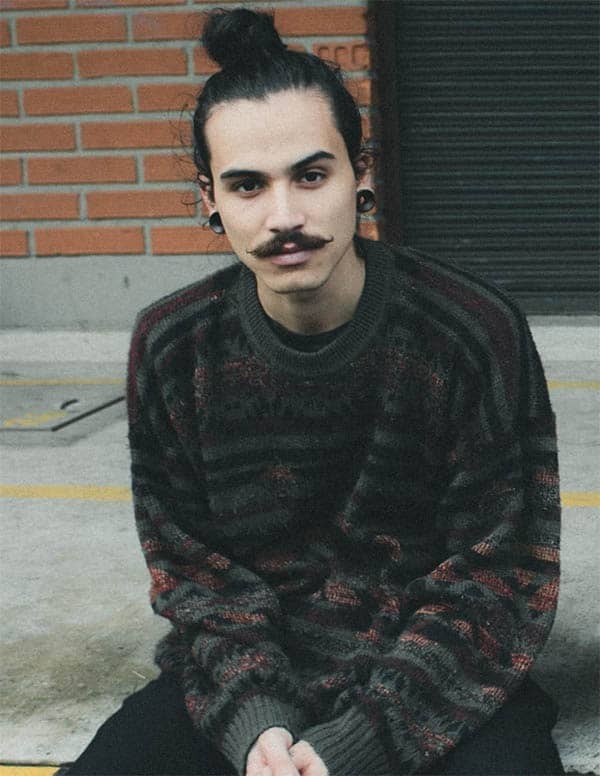 Your goatee goes well with this trend too;, especially with your messy man bun. 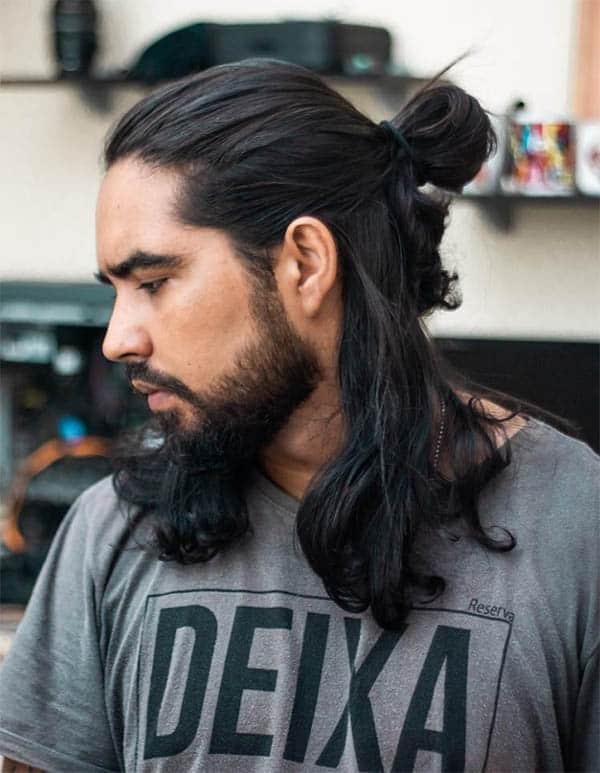 Create a casual yet attractive appearance by pairing your goatee with a rough and messy man bun. You are sure to leave the female folks drooling when you pull this off. 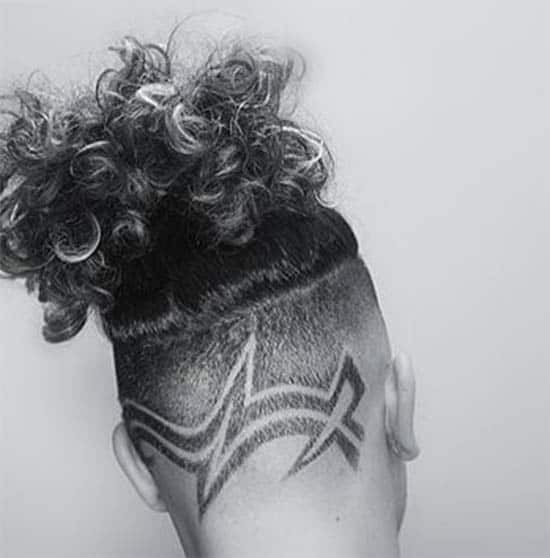 This style involves carving out beautiful designs on the back of your head. Roll the upper hair in to form a bun and secure it with your rubber straps. This is a daring hairstyle that sure needs confidence in order for you to pull it off. Talk about style! This unique combination of top knot and braid will certainly draw a lot of positive fashion attention to you. Shave the back and sides of your hair. Pull the upper part of the hair to form a Samurai bun then braid the sides of the hair to create a unique pattern. If this isn’t class then I don’t know what it is. Go grey with your Samurai hair. Create a medium length undercut along the sides. Pull the longer part of the hair to form a loose Samurai knot at the back. Achieve this classy look by clipping the sides of your hair short while the upper part of the hair is twisted into a high top knot. You are sure to look both natural and relaxed while being fashionable. 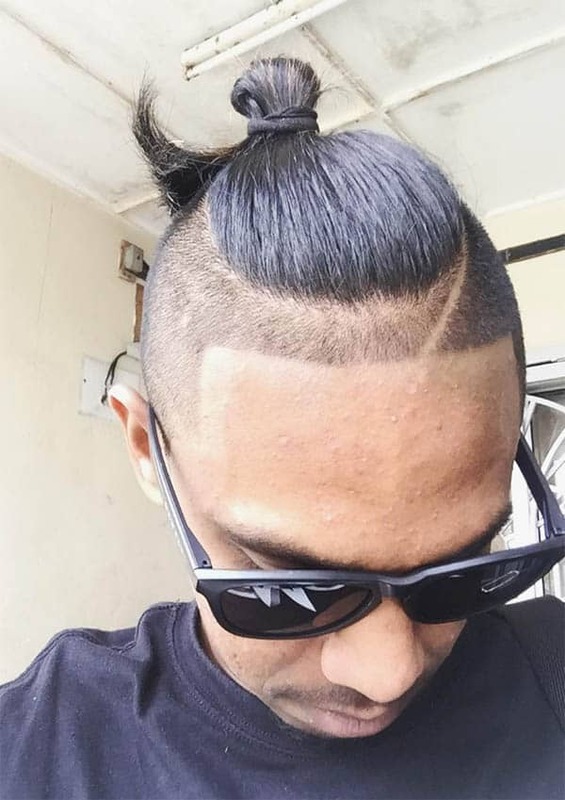 Bring your fashion A-game with this super cool Samurai hairstyle. Comb your hair back and create a small samurai knot by gathering the hair around the top of the hair. 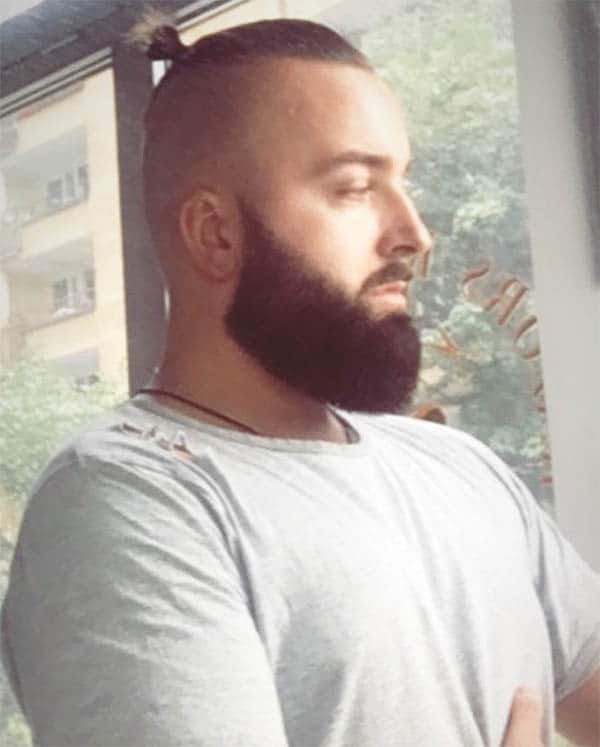 Add some beard to create the perfect look. You can never go wrong with undercut. Pair it with a ponytail and you are set to hit the fashion world hard; especially with a short ponytail. You can create more mystery around it by shaping the hair at the back into a V-shape. Imagine coal dark hair getting shaped the Samurai way! This is exactly what we have here. Create a powerful combination by twisting your coal black hair into a long bun. 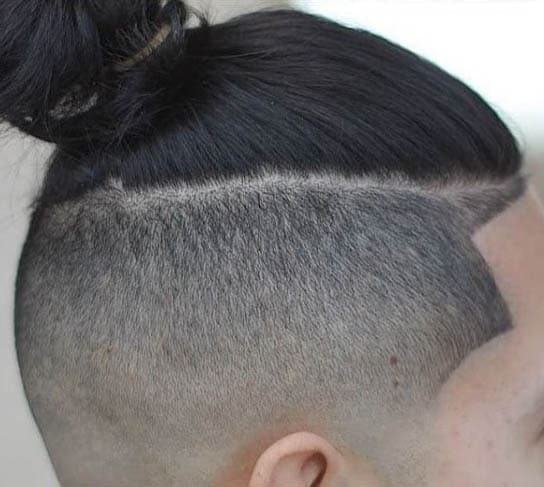 Make it even better by adding a neat undercut to the sides of your hair. 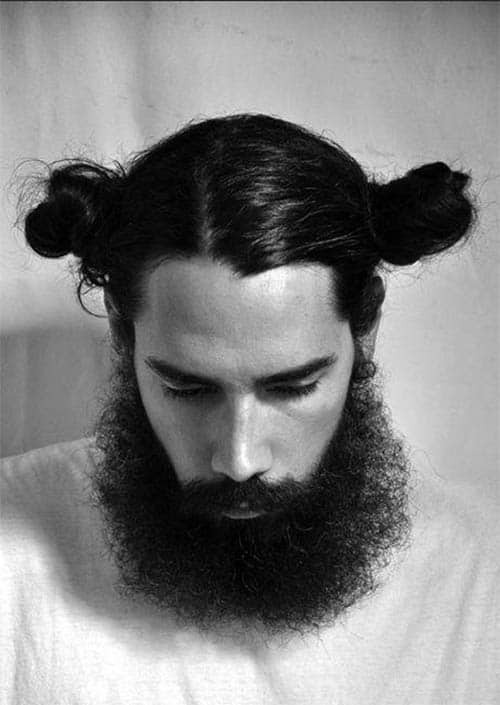 We already know that buns work well with beards but what about without beards? 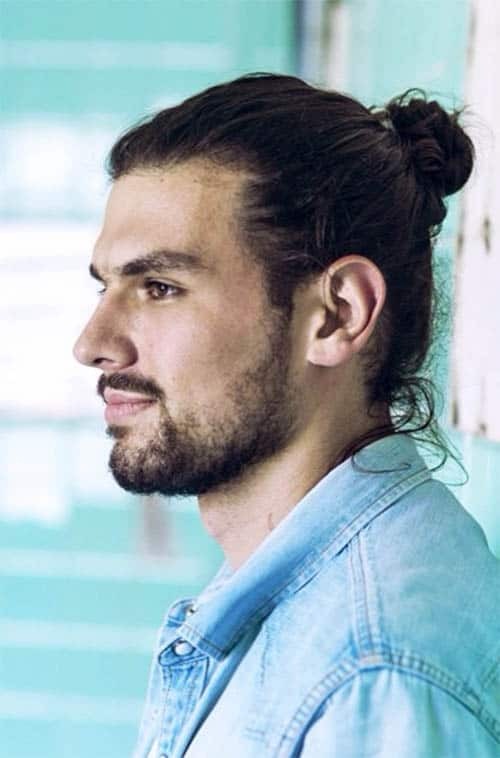 A clean sweep bun is all the proof you need to show that man buns work even better without beards. 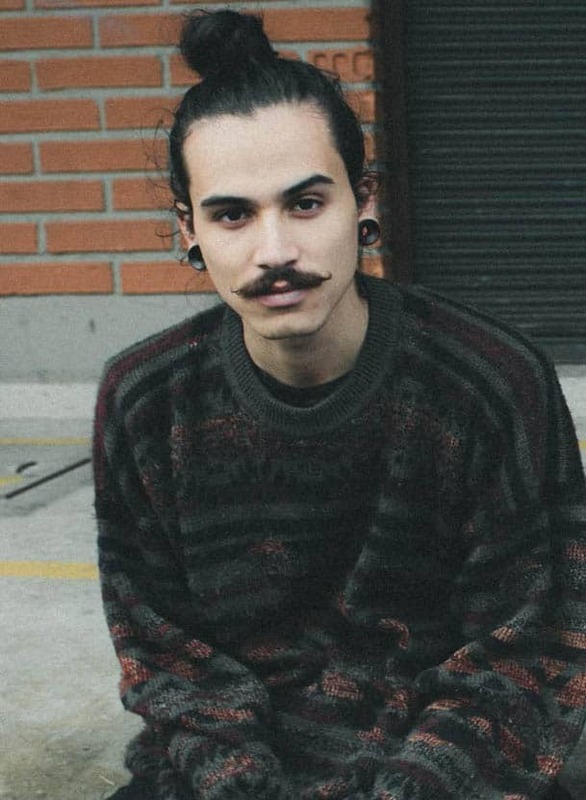 You may want to get rid of that facial hair and try this style out. This Samurai hairstyle will certainly create an ethnic yet confident look for you. Pull the bulk of your head to form a small bun. Allow the hair around the sides to run free or you can tuck them under your ears for some control. What if I told you that Ginger would help you achieve the perfect Samurai hair? Create an eye-catching Samurai look by making use of a curly ginger-brown top knot. You will never go unnoticed with this. 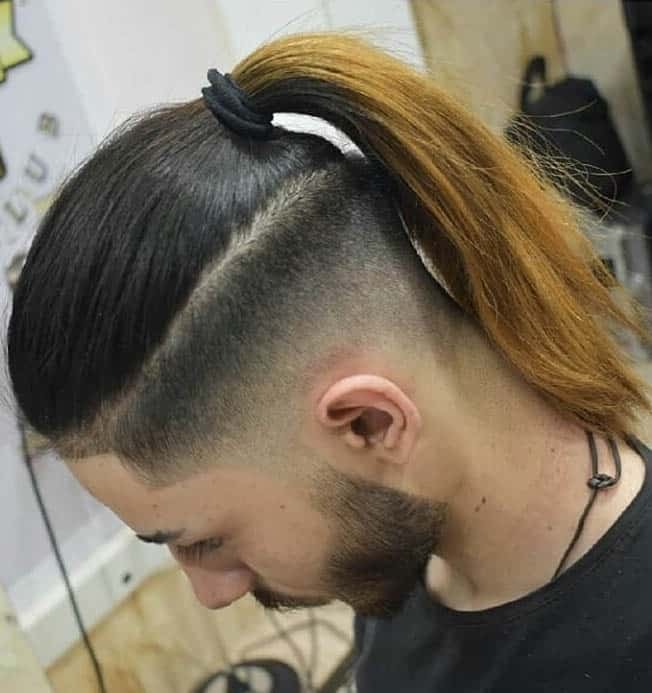 Samurai hairstyles are here to stay. They offer a variety of hairstyles that can allow you to remain trendy in your own space. Since we know it may be extremely difficult deciding on the best one for you, we end this piece with some advice. You may choose the style that aligns with your personality or you may begin an adventure by trying out all we’ve shared. Whichever way, do let us know by dropping your comments. We will be waiting.